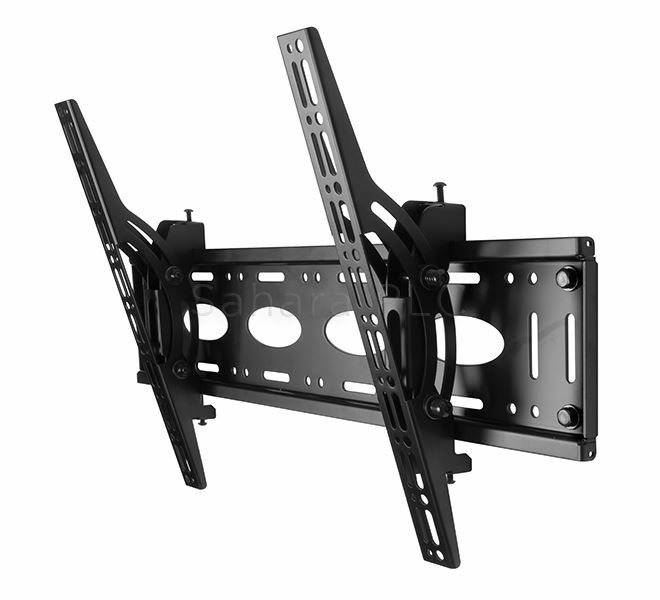 Mounts screen 80mm from wall. Maximum distance between mounting holes: Verical 464mm / Horizontal 835mm. Suitable for concrete / brick or stud walls up to 16". Includes locking bar for secure installation. Simple installation with all mounting hardware included.